Welcome to the deadliest show on earth! 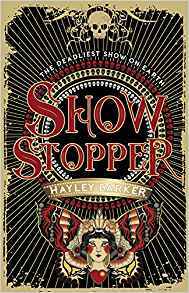 "The students were enthralled by Hayley’s introduction to the world of Show Stopper; so much so, that book sales broke school records. By 8.15 am the next day, all eight copies of the book were on loan, and a waiting list was growing! Some amazing work was produced during the workshops from some unexpected sources! Hayley really knew how to get the best out of the students." I am the author of Show Stopper and Show Stealer, a thrilling YA dystopian duology, sold internationally to six territories. I taught English up to A Level for eighteen years before becoming a published author and am able to accommodate schools' individual needs. My events often include interactive presentations to whole year groups, as well as creative workshops with smaller groups. Recent subjects I have focused on include sensory writing based on entering a circus, recognising prejudice and bias in the media, writing a dystopian story, discussion and debate about immigration and racism and the importance of a positive mindset. In 2018 I took part in three events at the Edinburgh International Book festival and was selected as an author by "Codename F - The Year of the Young People." This I was interviewed at the festival and schools were provided with resources and materials based on Show Stopper. I was a chairperson at the Young Adult Literature Convention (YALC), and international guest at the Utrecht Festival of International Literature and the Boekids university in Holland, as well as making numerous visits to schools and bookshops. I am based in Essex but will consider travelling anywhere, including abroad, depending on my availability and the event details. "We really enjoyed having Hayley visit us and share her writing journey and enthusiasm for reading! She led a creative writing workshop, signed books and then kept our entire Year 9 group engaged with an informative and fun presentation. Her books went flying off the shelves and our students were clamouring to read Show Stopper!" "Hayley was a true inspiration for the students who were all captivated by her motivational presence. Her presentation was incredibly uplifting, helping the students see that (with hard work) they can reach their potential. It was truly engaging and the students found it fascinating to hear about the journey of a writer. They were all keen to ask questions and Hayley provided excellent answers with heartfelt honesty and passion." "You inspired me with your creativity and courage. 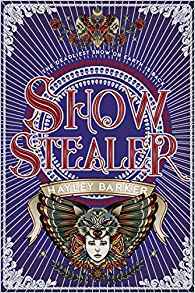 After hearing you talk about your amazing book, I couldn’t wait to buy Show Stopper and ever since I bought the book I am addicted to it…in my next English assessment I got my first A* of the year. You are my idol!" "The rapport with students was very good, with practical, honest and down to earth advice. The panel interview format fits with our MYP study programme, in which enquiry is at the heart of learning approaches. We appreciated Hayley fitting in with this so readily, and interacting with the panel and audience so thoughtfully and individually. Students were fully engaged. A number of students stayed through break, and would have talked to Hayley as long as they could. Many have a personal interest in writing, and they seem newly inspired and encouraged by the seeming accessibility of authorship. Even some teachers present tell me they now wish to try to write!" "I'd absolutely have Hayley back and recommend her to other schools. Hayley captivated the students with her story telling and breakdown of characters and allowing them to create their own dystopian stories was wonderful. The topical newspaper headlines and asking students to think about what they'd change gave them a real understanding of the thoughts behind her novels. Five stars! "Since meeting you, my daughter is determined that she wants to be an author. Thank you for being such an inspiration to my daughter and a positive role model for her to look up to." My fees are in-line with those recommended by the Society of Authors. I am happy to give complimentary short Skype interviews, including follow ups. 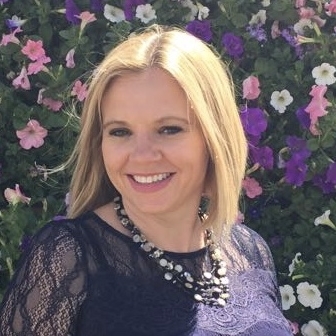 I am the author of Show Stopper and Show Stealer, a YA dystopian thriller duology published in 2017 and 2018. I taught English for eighteen years and am passionate about reading, writing and working with young people. Sabotaged High Wires, Ravenous Lions, A Demonic Ringmaster, A circus without a safety net. Set in a near-future England where the poorest people in the land must watch their children be taken by a travelling circus - to perform at the mercy of hungry lions, sabotaged high wires and a demonic ringmaster. The ruling class visit the circus as an escape from their structured, high-achieving lives - pure entertainment with a bloodthirsty edge. Ben, the teenage son of a draconian government minister, visits the circus for the first time and falls instantly in love with Hoshiko, a young performer. They come from harshly different worlds - but must join together to escape the circus and put an end to its brutal sport.